2639 Acacia Avenue, Rifle - Cheryl&Co. REDUCED!!!! 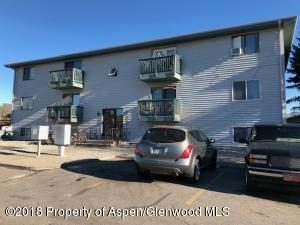 2 BEDROOM CONDO IN RIFLE! 2 bedroom, 1 bath condo. Garden level unit located near the laundry room. Includes refrigerator, stove, and dishwasher. Built in 1981. Tenant pays ALL utilities. AVAILABLE February 5, 2019 No pets. No Smoking. $800 month Rent. $1,200 Deposit. 1 Year Lease.